Today I am going to share my new important research. This research teaches you the technical valuation of nifty and with the help of this research you easily guess about the right time to buy a mutual fund or start fresh buying in shares. 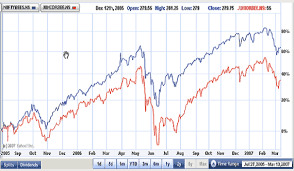 Generally Stock market corrects twice in every year but small investor unable to catch this buying opportunity. If you learn how to calculate technical valuation of nifty, then you easily catch both corrections points with the help of my method you also able to recognize overvaluation of the stock market. If we were able to recognize nifty undervaluation or overvaluation, then we use it to buy mutual fund units at a lower price or also able to buy blue chip stocks at the lower price. After this research, I am able to top up my SIP when ever market is down. Because when my method show nifty is down, then I added some lump sum amount in my existing SIP. If anyone has 1000/- per month SIP, then he/she need to invest additional 6000/- lump sum amount in every 6 months when my method recognizes a buying point in nifty. And with the help of this method you can trade directly in Nifty, Many investors do not know how to buy nifty in cash? you may buy Reliance Nifty Bees ETF which traded like a share, One Unit of Reliance Nifty Bees ETF=1/10 of Nifty, For example, if nifty=9900 then price of ETF=990/- per unit. When I teach you how to recognize down and upper level of nifty then when the market traded at his down point you may buy nifty ETF or any mutual fund units. And when the market traded at the upper point you may sell them to earn profits. I will give you practical examples from last 12 years. 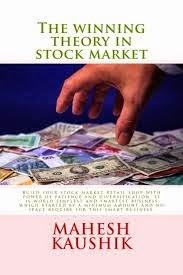 with the help of this method your risk is very low and when you understand this method "Stock Market is like a children's game for you" with the help of this method you earn money from nifty ETF or from mutual funds or buy shares at the lower price. So If you do not understand the method, then please do not put the negative comment, first ask your concern in the comment, I got per day 400-500 comments and I try my best to reply most of them. First of all, you need to download historical price data of nifty. I download last 12 years the historical price of nifty for the deep understanding of this theory. I think you remember that " Nifty may down twice in every year. It means every year market gives near 2 chance for fresh buying" Every year has 365 Days We minus 52 Sundays and 52 Saturdays from 365 because we need a near about figure that how many days market will open in a year? So in a trading year near 248 days market will open and we need to find 2 downsides in every year, so we divided 248 by 2 and get 124 days figure. This is a theoretical part so if you feel difficult to understand, then please do not worried I am also going to telling you practically. I hope you understand till this point now I am going to tell how to use this ratio in stock trading or mutual funds units buying. In last 12 years nifty maximum going 0.45 point above from 1.03 and maximum 0.45 down from 1.03 however, this is not a sure range, but nifty never broke this range in last 12 years. If you see last 5-7 year data in my Excel sheet then you find market normally trade in 0.09+ and - range. So in future when nifty will correct and I find ratio will go down till If this ratio corrects till 0.94 then I invest my money in HDFC equity fund. I recently closed my SIP of 4000 per month in this fund because I wait when SRNTV ratio correct till 0.94 I invest one time 24000/- in this fund. Normally you got only 0.09+ and 0.09- movement but in 2008 market was down badly and in 2009 it recovered sharply than this ratio gives movement till 0.45 points so we take a chance of 5 times average out in this situation It means we buy our first lot after 0.09 point fall from 1.03 but if market falls more we average out after 0.18, 0.27, 0.36 and in rarest condition 0.45 point fall. Normally It traded in a range of 0.09 high and 0.09 low for example on 12 May 2017 when our nifty traded near all-time high then It SRNTV=1.08 So on this higher valuation, I do not invest in mutual funds when this ratio correct till 0.94 then I start investing. If you see last 12 year data then you find every year we got this type buying opportunity. So when this ratio correct till 0.94 I will not only invest in mutual funds but also buy some units of nifty ETF and sell them again when this ratio up till 1.12 (1.03+0.09=1.12). Now theoretical part of this video ends. Now I tell you practical part of this theory if you do not understand, then please do not worry and take it seriously because If I write a book on this theory than I will earn huge royalty, but I do not want money from you I want to protect your money in stock market, so I provide it at free of cost. Finally:-You no need to close your existing SIP, Simply run your SIP when market will down and SRNTV touch 0.94 I will inform you through this blog or through my app so that time simply add some more units in your portfolio and whenever SRNTV going above 1.12 then I again inform through this blog and my app so you can book partial profits in your units.